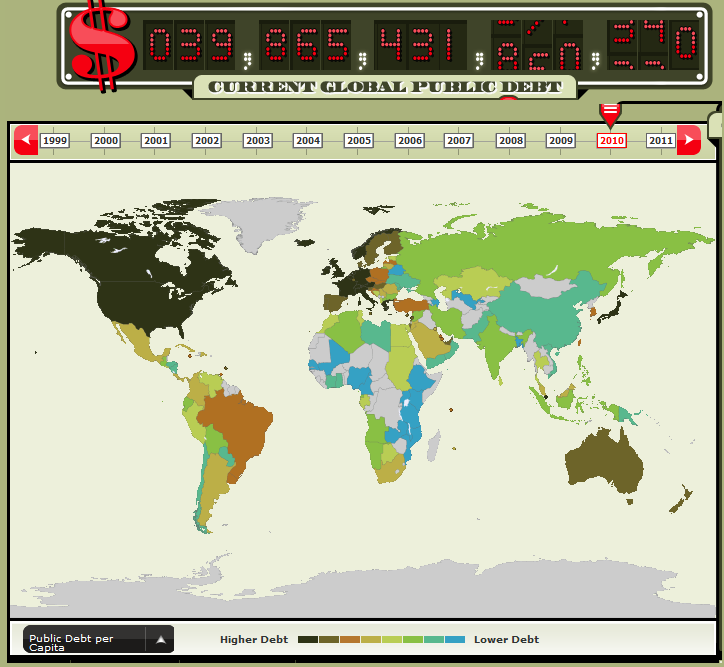 See how much debt each country has accumulated and compare different countries. Follow and forecast public debt in countries around the world, is now live on the Buttonwood Gathering website. The Global Public Debt Clock provides a perspective on the growing debt bubble. See wich countries that are indebted beyond their means before you make any global investment decisions.